Is a reasonable doubt unreasonable? The real Von Bulow was indeed convicted to a thirty year term for the murder of his socialite wife Sunny, played by Glenn Close, but the movie, without taking sides, does make it clear that his sentencing was somehow influenced by the court of public opinion in which everybody believed Claus was guilty, he had to be, he certainly seemed like a man guilty of something. Still, the film's main characteristic is its ambivalence, as it gives us plenty of theories on what could have happened but with the resignation and the certainty that no definite answers exist. Fact is Claus had plenty of reasons and chances to kill his wife but, did he? That Jeremy Irons somehow is able to extract some sympathy from the audience for a character like Von Bulow is nothing short of astounding. Perhaps this comes from the apparent conviction he shows about his own innocence but also, unlike Sunny, he manages to flash some signs of humanity. It becomes no mystery to the audience how badly Claus' sense of manhood was humiliated by Sunny on a daily basis and, to our horror, we can comprehend why he would ever want to put her out of her misery. Sunny is played by Close as a venom dispensing brat who's every command must be followed because "she's the one with the money" while he is "only worth a million dollars", but having so much money all her life doesn't really seem to bring much joy to her an despite her tragic fate, Sunny manages to win very little sympathy from the audience. Her children's suspicions very well may arise from the fact they had witnessed exactly how it was that she treated him. It would definitely make sense that Claus was the one who put her out of a joyless life. In any case, we can't help but feel guilty about somehow liking the guy because let's face it, his constant sarcasms are more than a bit funny. 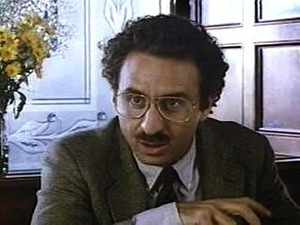 Ron Silver plays real life attorney Alan Dershowitz who was in charge of Claus' appeal process, which the movie focuses on. He seems to put civil rights above the apparent guilt of a client and despite Von Bulow's strange demeanor, there is little doubt his rights were indeed violated. By assigning various groups of his students to live and breath each aspect of the appeal in which they expertise, he manages to thoroughly comb the case and find more than a few holes that Claus' prior defense never imagined to exist. When the final courtroom scene arrives, we've realized for quite a while that the truth behind Claus' guilt or innocence will never become known with all certainty, but the existence of reasonable doubt in his conviction has also become very clear, thus when the prosecution takes Dershowitz' bait and starts defending each of the new points he brings up, there is little suspense on whether Claus' will actually be exonerated. Yes, he seems very much aware that personal redemption is well beyond his reach but he seems content enough, after all, he couldn't get such good restaurant seats before becoming infamous. 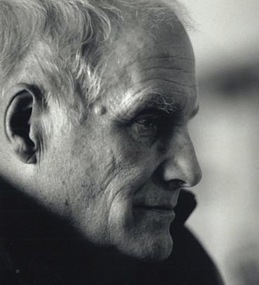 The photo at the top shows Barbet Schroeder.